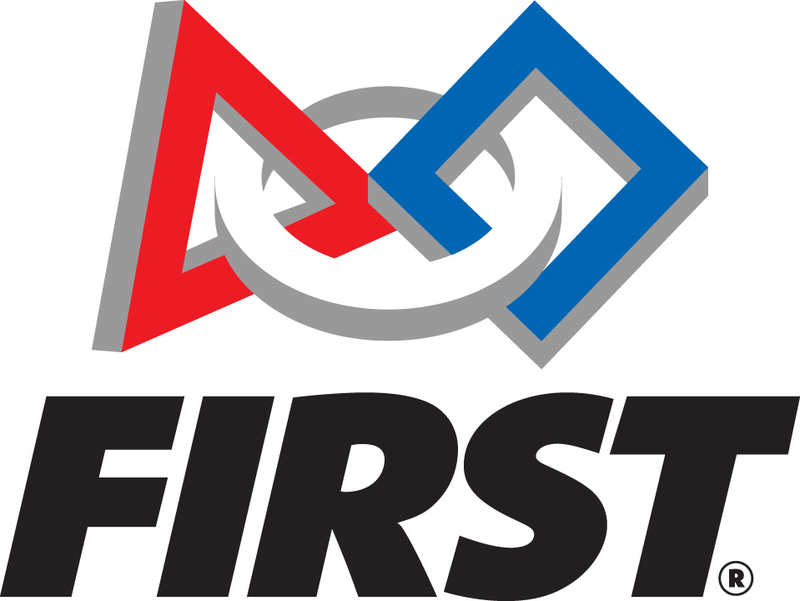 For this year's FTC challenge, we believed cube points was the most integral part of the matches, so we started brainstorming ideas of block manipulation systems first. 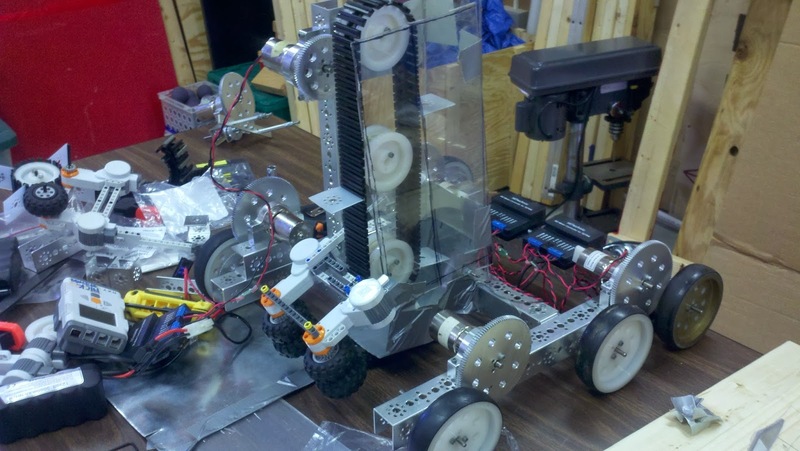 We had many initial intake designs, such as an arm, a scoop, and a pressure tread system. We began by making prototypes of designs we believed worked best and compared results of each. 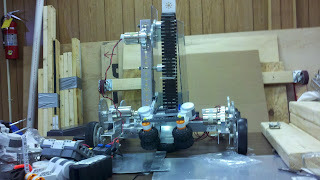 We also took into account area and weight each module took up and the amount of motors needed to operate the mechanism. 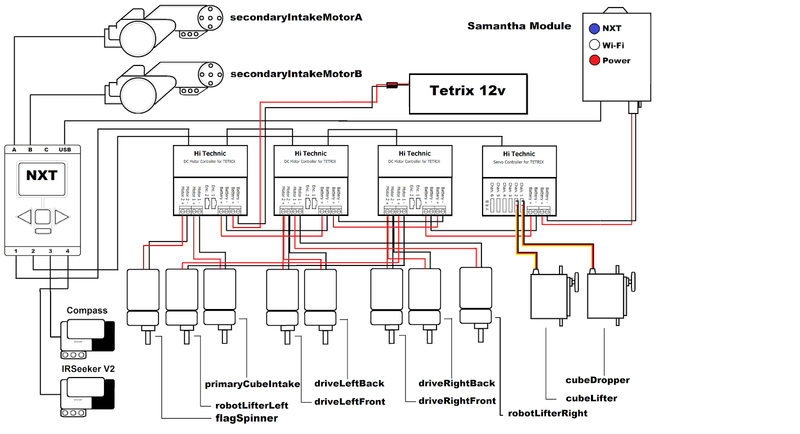 In the end we went with a single tab 'elevator' system, as it used the least amount of TETRIX motors and had a small footprint on the robot. 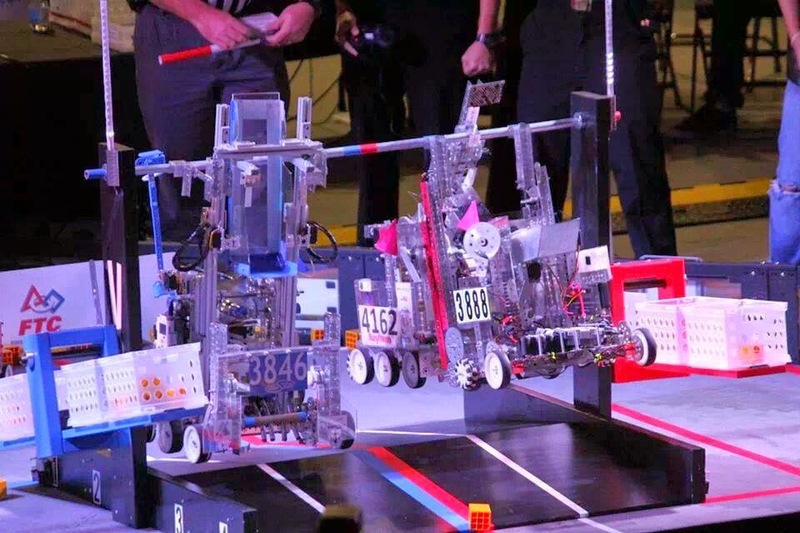 The floor end effector which picked cubes up off the ground is two LEGO motors with rubber wheel coverings to grip the cubes in whichever orientation they were in. This intake allowed us to collect cubes and raise them to a secondary storage and dumping system on the back of our robot. Dumping cubes was the primary focus of the tele-op phase. For this task, robots needed to be able to efficiently store and score cubes in the pendulum, which also would rock back and forth. Using some basic trigonometry, we calculated the maximum height the pendulum would get to(when the opposite end is touching the floor) and made that the upper limit for the height the cube end effector needed to achieve. The 'scoop' is raised and lowered using a continuous servo connected directly to a rack and pinion system, in which the rack is attached to the raising channel and the pinion is stationary. Our initial cube holder was simple TETRIX pieces screwed on to a curved piece of sheet metal. It became apparent, however, that the cubes would easily fall off the end effector as it barely fit 4 cubes. We then decided to improve the end effector so that it fit exactly 4 cubes, but large enough so that cubes would not fall out when we were bumped. We calculated the area needed to hold exactly 4 cubes, added an extra 1/4" to accommodate for real world variance and bending, and drew the 2D form of the cube end effector on a piece of sheet metal. We then cut it out and bent it into shape, making sure the edges had nice creases and the corners were filed down. We then drilled 4 holes to attach the scoop to a servo which rotated the scoop to dump cubes. The lifter was the primary end-game module focus. 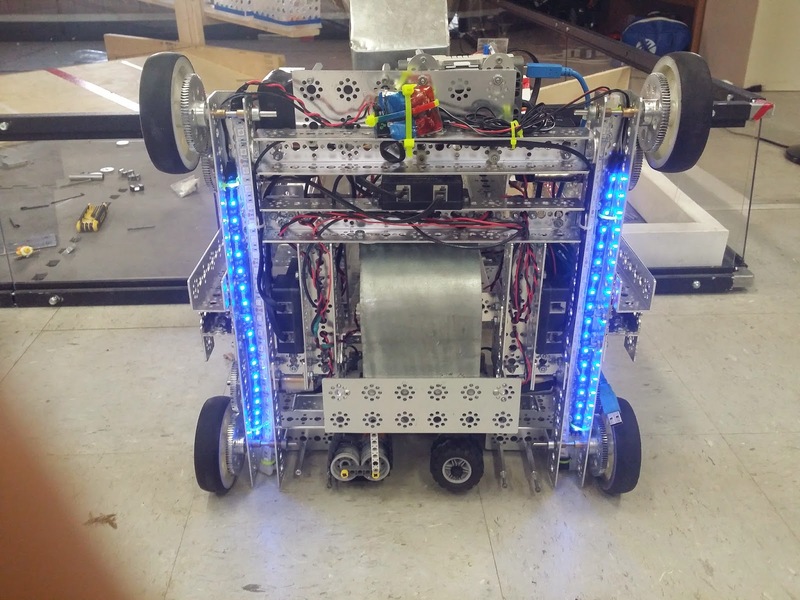 Robots could score a whopping 50pts for lifting themselves up! 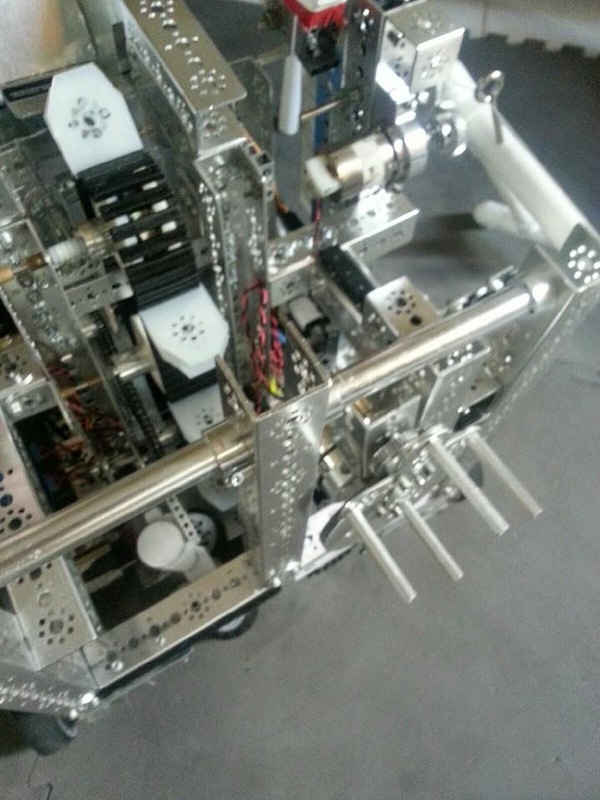 We decided to incorporate TETRIX rack and pinions for our lifter because of their simple but robust usability. We could lift and retract our arms reliably and repeatedly, without any need for specialized reset procedures. Our arms didn't quite reach the height of the lift bar, so we added a secondary height stage which flipped up after reaching its apex height. Tension on the string, which was attached to the secondary c-channel, would transfer its energy to torque which flipped up the second stage, which stayed in place with the aid of rubber bands. 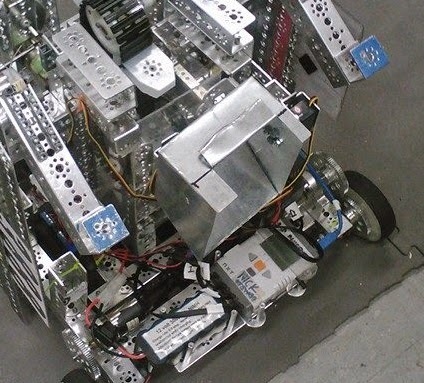 We originally had a 2:1 gearing ratio for the motor to pinion, which allowed us to lift our robot even if one hook failed to grasp the arm, but we changed our arm system to a 1:1 bevel gear system when it was moved to the front for States to attempt a double hang in which both robots grasp the bar and raise simultaneously. Our second arm system was more reliable and would grasp the bar with both arms every time. Our drive train is a 4 motor 1:1 gearing ratio train. We decided to use a 1:1 ratio for the balance of speed for placing cubes, and torque to maneuver on the ramp. 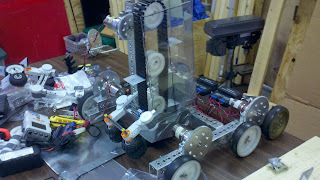 After moving the arms to the front of the robot, the robots front wheels needed to be relocated. After some deliberation and testing, we decided moving them to the inside of the c-channel they were on was the best way to go. 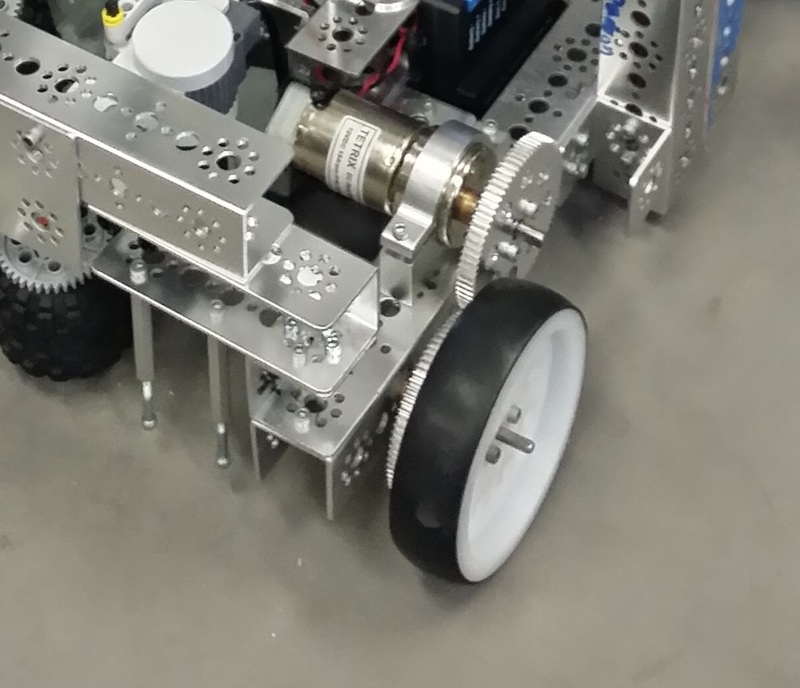 We maintained the 1:1 gearing ratio by having a large gear attached to a medium gear, which transferred it's energy through an axle to a small gear which was attached to a medium gear. Moving the wheel to the inside also helped prevent cubes from getting stuck inside our robot. Our flag spinner use 1 motor and has a 1:3 gearing ratio for speed. We wanted maximum rotations per second to raise the flag quickly to be able to attempt a hang as well in the end game. The flag spinner was added at our second competition. Throughout the season, the flag spinner was moved around. 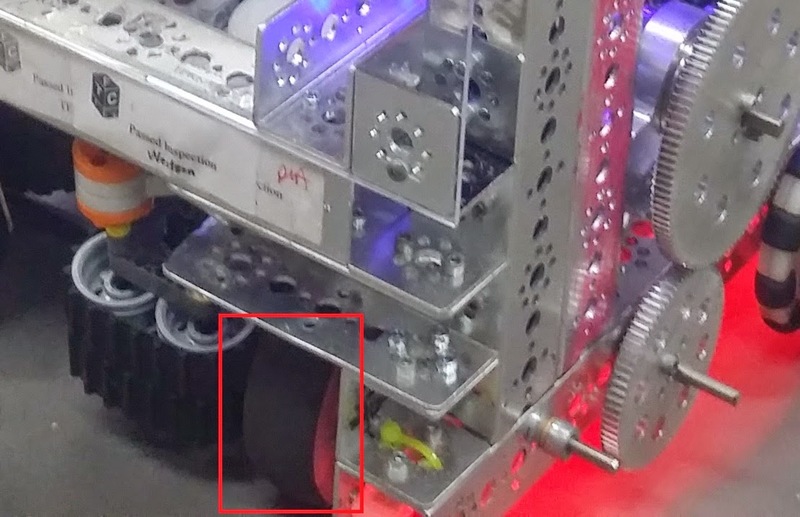 Initially, it was placed at a 45° angle on the back of the robot, so it could fit within the 18" boundaries and still reach the flag when we back up into the corner of the track. 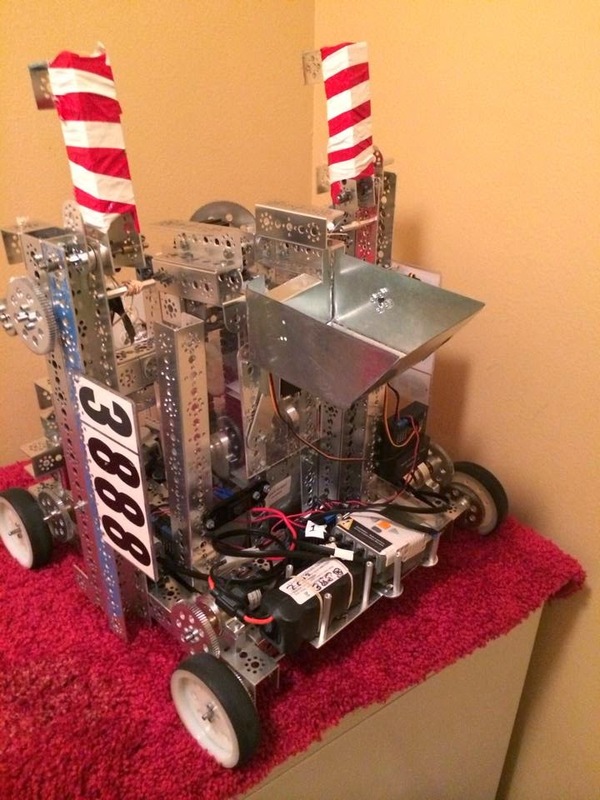 After modifying our robot after our second competition, we decided to test a new spot for the flag spinner. 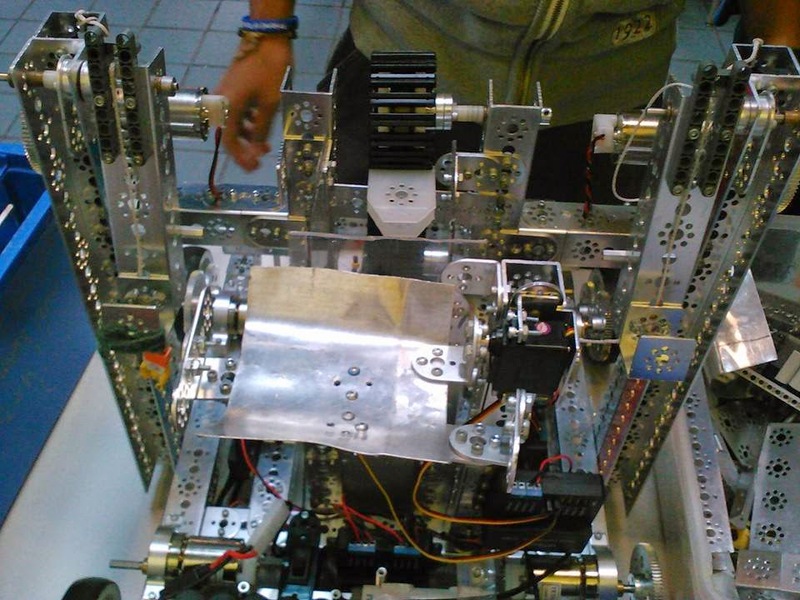 It was put in the front of Jorge, offset to the left, where it could retract from within our robot. It was set on a rack and pinion system which was driven with a continuous rotation servo. 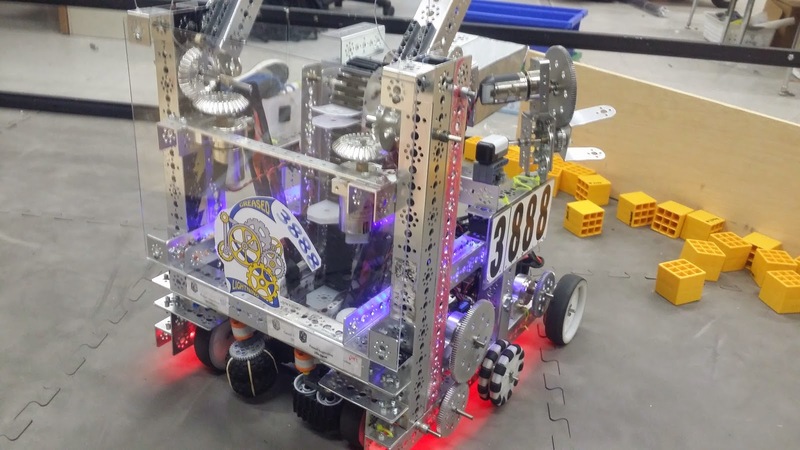 This design was innovative, however, the large gear would occasionally get caught on the middle supporting c-channel and render the flag spinner immobile for the rest of a match. 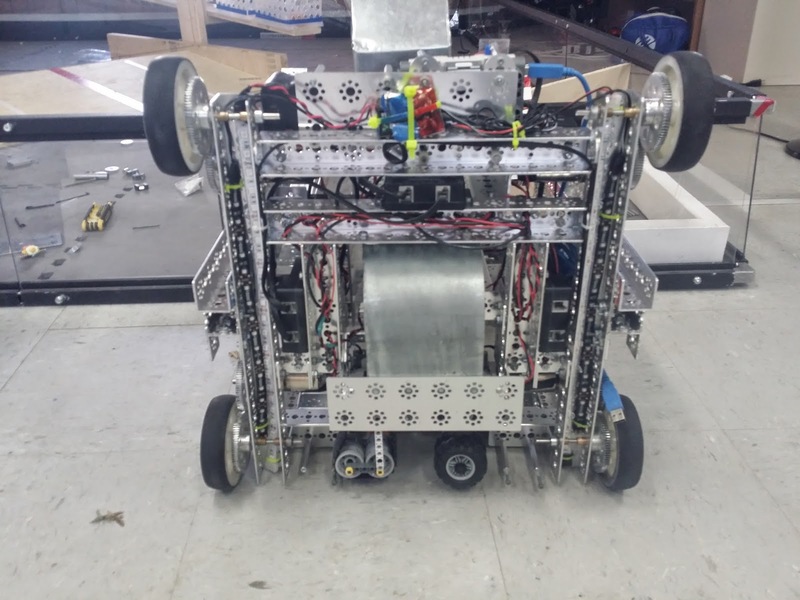 After moving the arms to the front of our robot, our initial positioning was restored, which was much more effective and robust as the design was simpler and had much less points of failure. The lights were 4 LED strips, 2 red and 2 blue wired to an external power source of 9V. 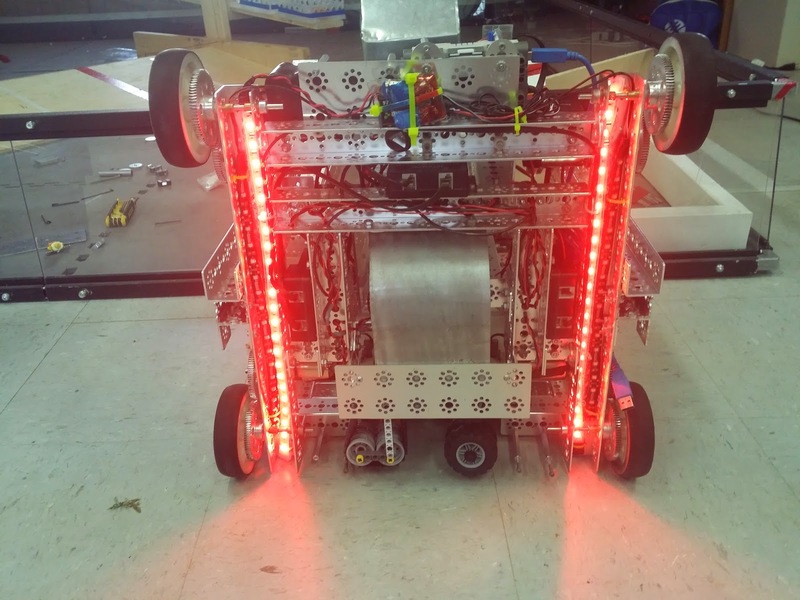 The pairs were wired to a 3 toggle switch, which allowed us to set the blue LED strips on when we were on the blue alliance, and the red LED strips on when we were on the red alliance.